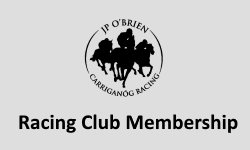 Welcome to our payment facility for purchasing 1 years membership to our Racing Club. To continue, click on Proceed below. If you have recieved a discount code, please enter below and click on Apply Discount, then Proceed. On the right hand side, click on Pay Now and you will be brought to the secure payment pages. We will recieve your details and postal address once complete. Enter code above, then click Apply Discount to validate.